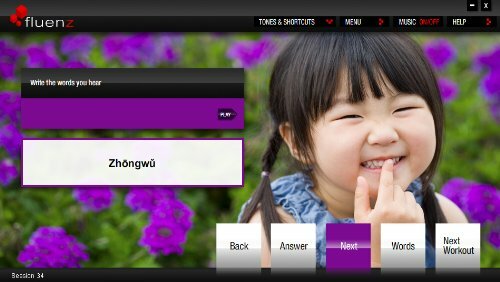 * The most comprehensive digital program to learn Chinese, Fluenz Mandarin 1+2+3 will guide you in English through the challenges of Mandarin with a proven system. 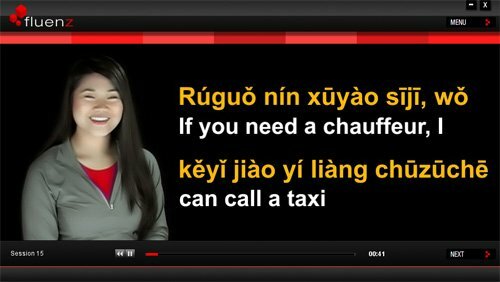 * Language tutors Yi Wei and Sonia Gil, recent graduates from Harvard and Cornell, will take you every step of the way by recreating a one-on-one tutoring experience that places you in real-world contexts and immerses you in a fascinating culture. * Fluenz blends beautiful full-motion video with a range of engaging, interactive workouts to improve your reading, writing, listening, and speaking skills -- including a recording engine to perfect your accent. * Fluenz's unique approach is currently being used by elite units of the US Navy, senior personnel at the UN and UNICEF, executives of Fortune 500 companies, and students at Harvard Business School and other leading universities. 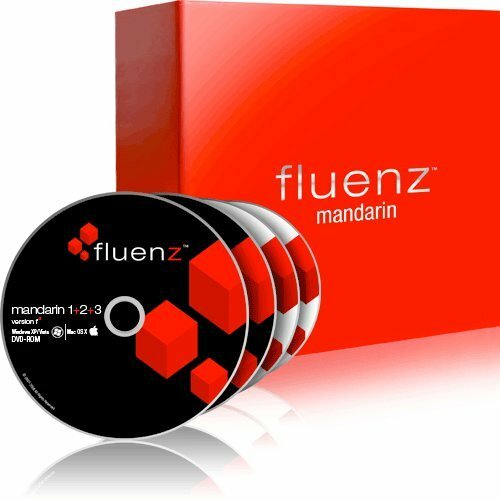 * Includes Mandarin 1+2 and Mandarin 3 DVD-ROMs with a total of 75 sessions that take up to 2 hours and 30 minutes each, two audio CDs for additional training, downloadable podcasts, and the handy Fluenz Navigator for on-the-go referencing of important words and phrases. Thank you, I downloaded the files but fluenz does not run. It appears a message which asks me the right cd/dvd. I tried daemon but nada. If you have any instructions, you are welcome. I have running it using DaemonTools , strange ? Do you know how to cope with DaemonTools software ? I tried again and I did it. Thank you very much. My previous daemon tools software did not work.